The chillers at this industrial plant are used to produce process cooling water. The plant has 2-250 ton Carrier Chillers installed side by side and only needs one of the chillers for their daily operations with the 2nd Chiller used as a standby. One of the 250 ton chillers has lost its 250 ton compressor and Carrier cannot supply a replacement compressor and the plant is looking to either use 2 of our 125 ton MagLev Compressors as a retrofit or use one of our Multistack Chillers with 2-125 ton MagLev Compressors already installed to replace the existing failed chiller. The plant needs to get something done soon because one of the chillers is necessary for the plant to be able to run and if they lose their spare chiller, it can cost the plant tens of thousands of dollars per day. The total cost of the new Multistack Chiller including labor and materials is $ 254,625 which figures to just over $1,000 per ton. We estimate the annual savings comparing the older 250 ton failed chiller with our new Multistack Chiller to be $78,000 per year assuming a total cost of electricity per kWh at $0.09 and 8,500 hours of run time per year because this plant runs 24/7 for all but 2 weeks a year. These savings of course will require that our Multistack Chiller be the lead chiller. Keep in mind that something new must be purchased right away. Compared to buying another conventional chiller that might be slightly less expensive than a Multistack Chiller, but does not have the energy savings capability of the Multistack Chiller, the extra monies invested into the Multistack Chiller will be paid back in far less than 1 year giving the Multistack Chiller a very high rate of return on investment. Don’t forget that our MagLev Compressors are oil free which eliminates considerable maintenance when being compared to conventional chillers. Below is the contents of our actual proposal to the industrial plant. 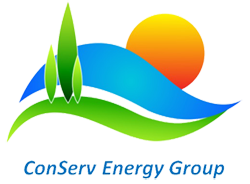 ConServ Energy Group is pleased to propose to provide labor and material to replace the existing Carrier 250 ton water cooled chiller with a Multistack 250 ton Model No. MS0270FC1L2W2H1AA22 water cooled flooded evaporator chiller with 2-125 ton MagLev centrifugal compressors. The existing failed Carrier Chiller used refrigerant R-22 and the voltage is 460/3/60. Perform demolition including removal and disposal of existing chiller and any associated items requiring removal. We can provide this service for an additional price. We are proud to be able to provide these Multistack Chillers with MagLev (Turbocor) Compressors as they are the finest chillers in the world operating with the most energy efficiently available today. Our MagLev Compressors also have excellent part load operating parameters and as cooling load diminishes, the kW per ton requirement for each MagLev Compressor continues to drop. In addition our MagLev Compressors are very quiet and create no vibration.